Not looking for my solo guitar page? 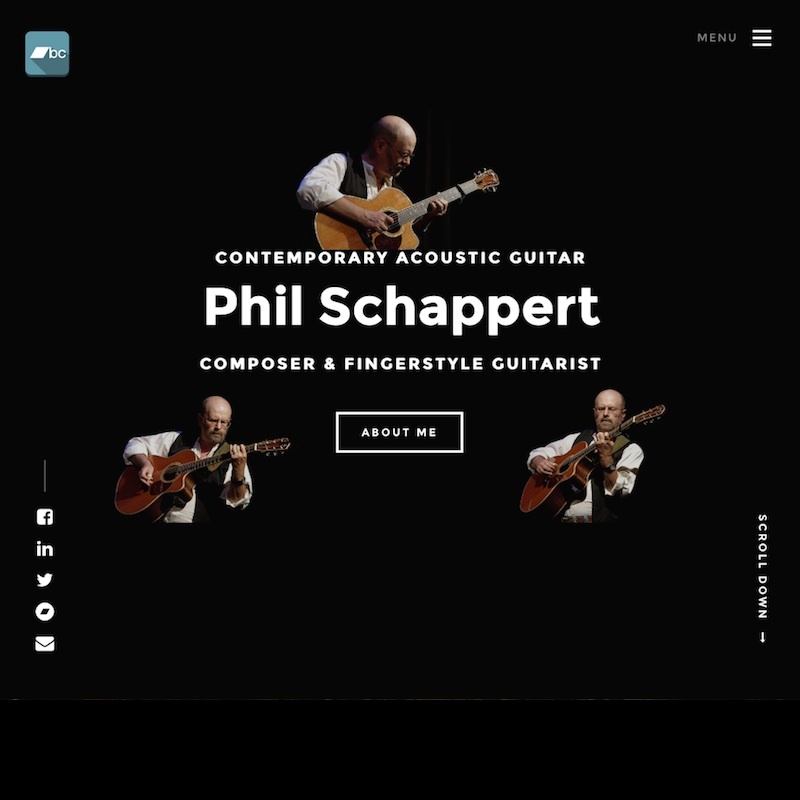 Try visiting my other eponymous site, PhilSchappert.com, my nature photography site Imaginature Studio or my World/Celtic music trio site, Papilio. Listen to music on my SoundCloud page. Listen and purchase music at my BandCamp page. I'm a fingerstyle guitarist and composer, a terrestrial ecologist, a nature photographer, and a graphic designer: a regular renaissance guy. 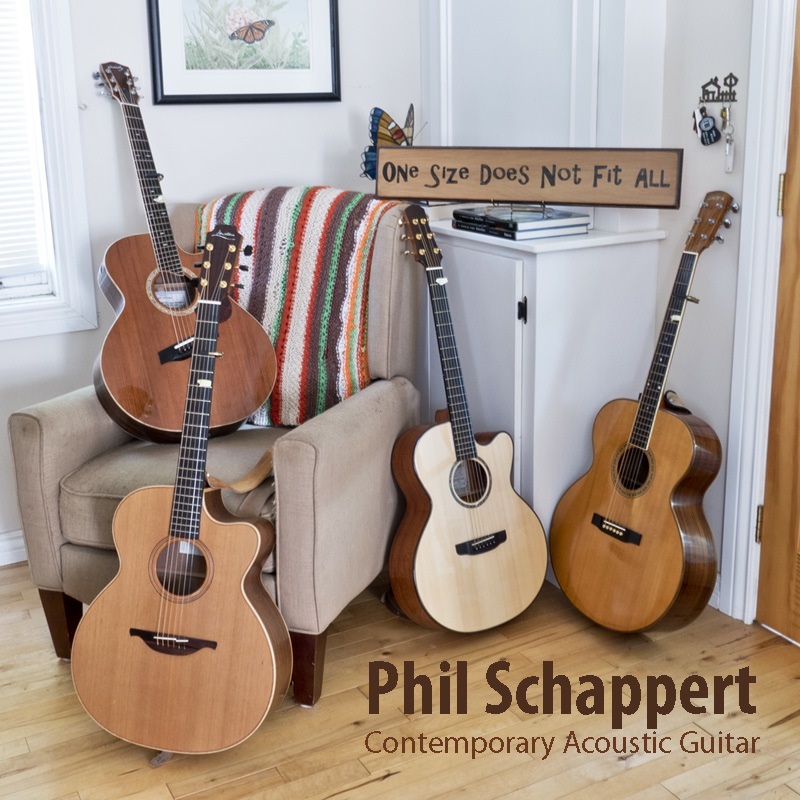 I've just released a new solo guitar recording of original contemporary acoustic compositions called One Size Does Not Fit All. You can listen to it in the Media section Bandcamp player. 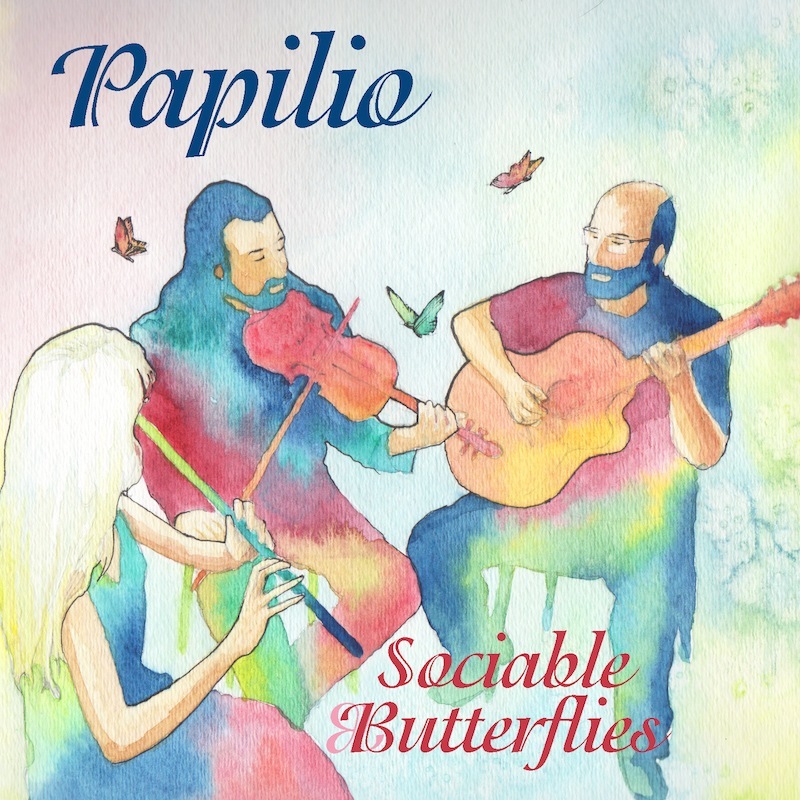 I also play guitar and bouzar with world/celtic music trio, Papilio and we have a new recording, Sociable Butterflies, that is set for release in late October 2018. Along "life's journey" I acquired a PhD (with Distinction) in Biology from York University, specializing in phytochemistry, botany and entomology; managed a biology station for, and taught at, the University of Texas at Austin; have written scientific papers and articles, a newspaper column, a couple of books on plant-insect interactions and many "popular science" articles; am an accomplished entomophotographer; and do graphic design and provide sound services in my spare time. Yes, you can call me Dr. Phil (but I also answer to "Hey! You!"). I enjoy listening to, and playing, most kinds of music, especially classic symphonic rock, and the traditional musics of Celtic and Nordic countries, particularly Brittany, celtic Spain and Sweden, as well as a lot of traditional, neo-traditional and contemporary acoustic music. I play guitars made by Irish luthier George Lowden, Nova Scotian luthier Russel Crosby (who also made my bouzar), and others. While getting the Transcription Book ready to publish I wrote an introduction to DADGAD Tuning and my Use of Partial Capos. The introduction also includes the tunings, capo used and position of every track on the recording. Just click here to view. Right click, or control-click to download the PDF. Well. Finally. After all these years. My first solo recording of original compositions, One Size Does Not Fit All, has seen the light of day. You can audition the tracks and purchase the album for download (in WAV, HQ MP# or FLAC formats) at my Bandcamp page. Woohoo! 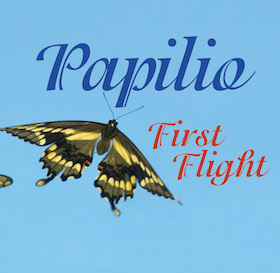 Papilio's "First Flight" has just been nominated for Traditional Roots Music Album of the Year by Music Nova Scotia and was nominated for Traditional Instrumental Recording of the Year at the 2014 East Coast Music Awards. It is easy to understand why. Jennifer Publicover, Anthony Rissesco and Phil Schappert have recorded an exceptional performance with delicate treatment of each piece. Michael Trenholme East Coast Kitchen Party. A new complete updated responsive website to coincide with the launch of the new CD. Woohoo!. You're already Here! Finally. 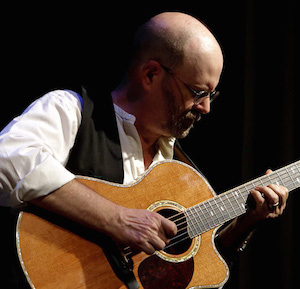 A recording of some of my solo contemporary acoustic guitar pieces. Can another be far behind? Purchase at BandCamp! 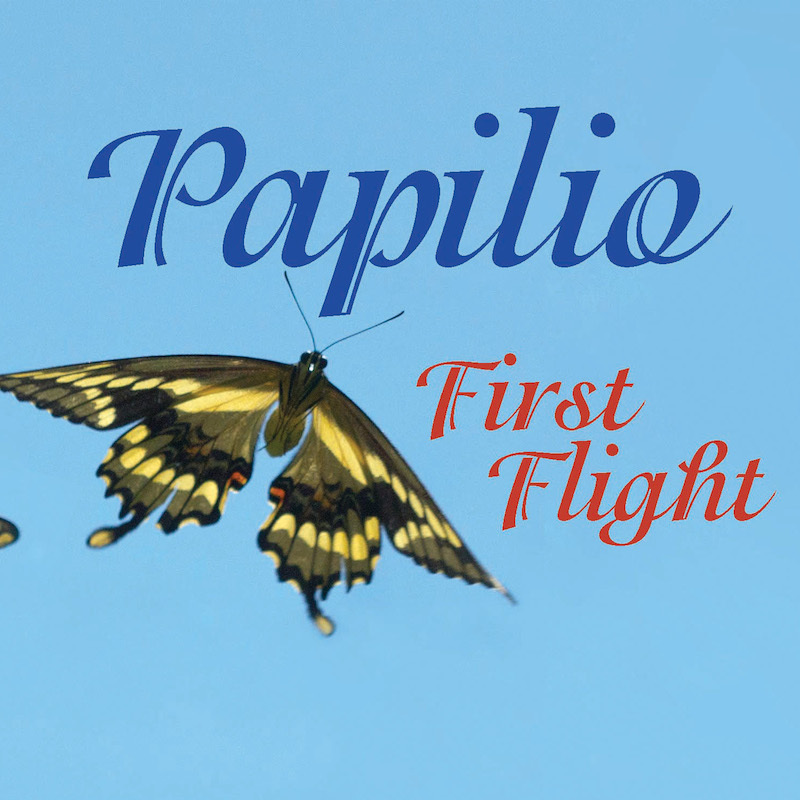 Did the graphic design, along with playing along with my talented bandmates, Jennifer Publicover & Anthony Risessco, for the new Papilio CD. Watercolor by Colin Dorgan (refinelines.ca). Visit the Papilio Website! Many thanks to Steven Kennard for the concert photos and John D.S. Adams, studiomeister at Stonehouse Sound in Mahone Bay, NS, for making me sound much (much) better than I am. My gratitude is always owed to my best friend, and spouse of 35+ years, Pat, for going above and beyond the call of marital duty, enduring multiple changes in my life track, my acquisitive nature, and my many (many!) faults. Send me your Name and Email Address using the Contact Form and I'll add you to my notifications list. I will use the list only for major events or announcements and will not share your contact information.